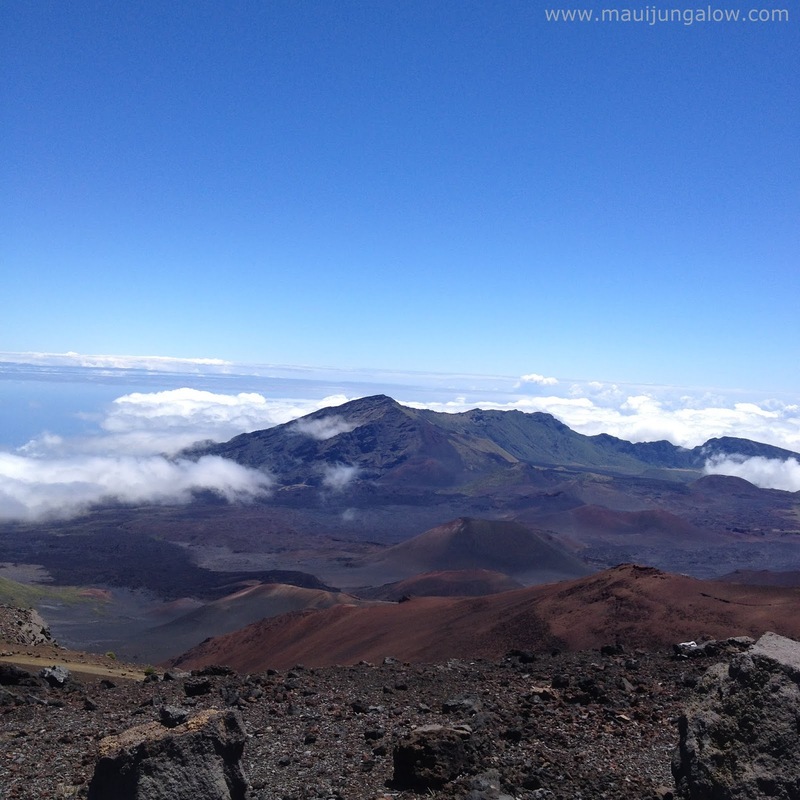 Dominating Maui’s skyline is Haleakala, a volcanic mountain that rose from the sea. At the top of Haleakala is a crater with a landscape as surreal and harsh as any place on the moon. A place of rich historical and cultural significance, Haleakala is considered a sacred spot and means “house of the sun” in Hawaiian. Thankfully, Haleakala and surrounding areas are protected as a national park. Haleakala Crater panorama, courtesy of Peter Liu on Flickr. Peter is also a friend, a social media guru, and a brilliant photographer. 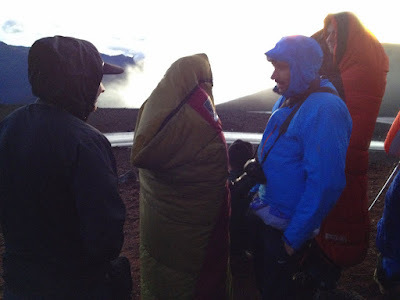 · Haleakala houses an astronomical observatory with telescopes that can be seen on a clear day from lower areas of Maui. · A popular activity is to wake up REALLY early, like at 2 or 3 am, drive up to the summit and watch the sunrise over the crater. The alternative is also quite magical, sunset over Haleakala. But they are not for spiritual seekers who wish to commune alone with nature. Sunrises and sunsets can be crowded affairs, with people racing to the summit to get there in time and find parking. Another view of the crater. · The top of Haleakala is very cold and can be quite windy. How cold is cold? Sometimes it snows and the park closes down, because Hawaii’s people are not used to driving in snow. Dress for real winter weather – like in Minnesota. A great place to freeze your buns off. Bundle up, cause it's fricking cold out here at 5 am. · Rare plants and animals live at Haleakala. 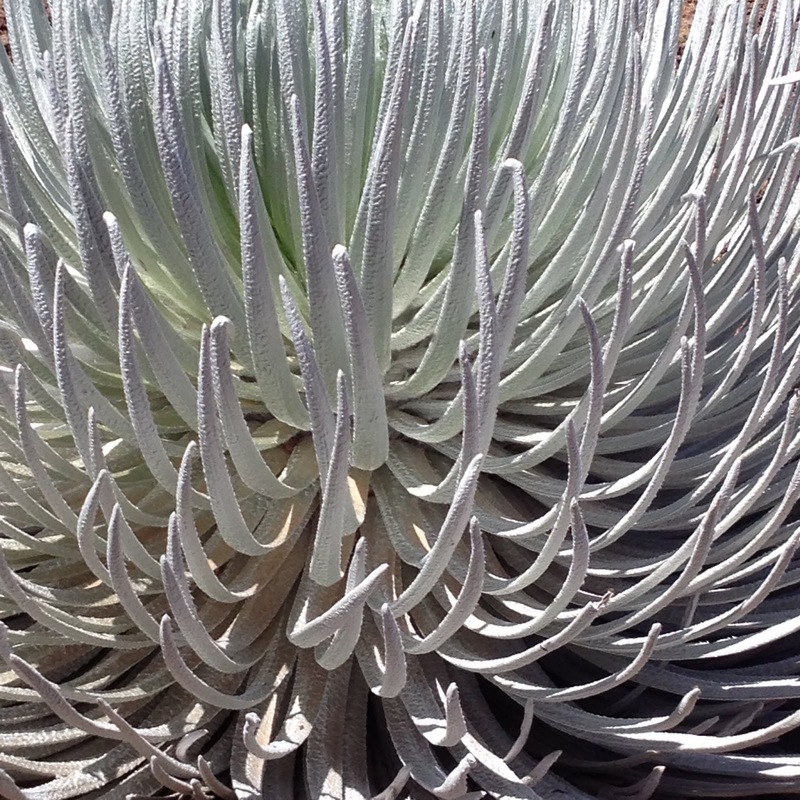 Two iconic species are the silversword plant and the striped nene goose. 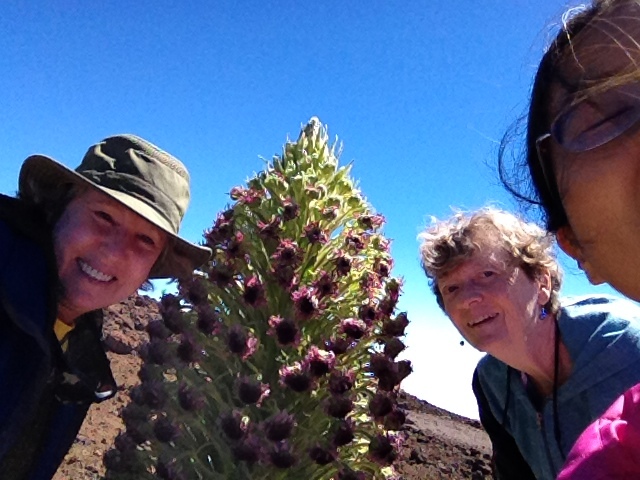 A flowering silversword plant with friends Eli and Suzanne. Don't worry - we are standing on the sidewalk, not on the plant's delicate roots. 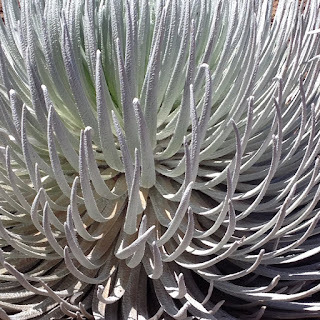 Close up of a silversword plant. This is a fuzzy picture of a nene goose at sunset. They are hard to see at night and have a tendency to cross the roads (and not look both ways) so please drive carefully. · The road to Haleakala National Park is called Crater Road and has beautiful homes and gardens along the way, but beware of cyclists biking down the volcano. Past all the homes, the landscape becomes more sparse and the road becomes windier and curvier, with dangerous S-turns and places to lose control of one’s brakes. 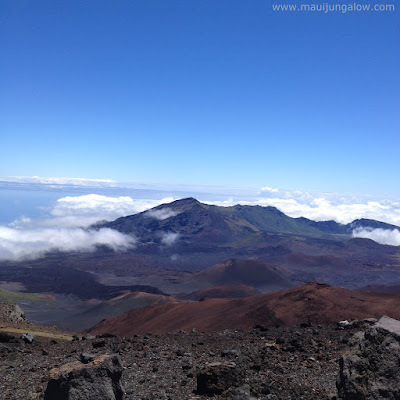 · Think of the top of Haleakala including the crater as a high desert. Dry, rocky, barren, intense sun, little water.